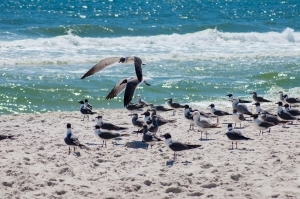 Many people came to Jacksonville Beach for the sand and surf. Some of them left with Florida traffic tickets. It appears that a lot of Jacksonville Beach residents and visitors to the area went home with Jacksonville traffic tickets over the weekend. This includes people that were driving in Neptune Beach and Atlantic Beach. The Florida Times Union reported, “Four drivers were charged with driving drunk and 271 other traffic tickets were issued during an intensive weekend DUI/traffic enforcement detail in Jacksonville Beach.” The stops began at 7:00 a.m. on Saturday and continued until 3:00 a.m. on Sunday. This would mean that there were an awful lot of tickets issued in less than a 24-hour period. According to the news article, “There were 225 vehicles stopped and 85 speeding tickets written. The other tickets were for a variety of traffic offenses.” A Florida speeding ticket is a civil traffic citation. It is also a moving violation. Depending on the speed, the ticket will carry 3 to 4 points. You may be able to avoid those points. This is something that you want to discuss with your Jacksonville drivers license lawyer before paying the ticket. You want to talk to an attorney before the ticket is due. If you do not pay the ticket on time, you could face consequences. For instance, you may have additional fees, including late fees and D6 clearance fees. The Department of Highway Safety and Motor Vehicle may suspend your Florida drivers license. Do not forget about your ticket, because it will not go away. It will only get worse. Speeding tickets were not the only citations issued at the beach over the weekend. The article mentioned that there were other traffic tickets. If you were given a ticket, you want to pay close attention to the violation with which you were charged. Is it a moving violation? If so, it likely carries points that you do not want on your driving record. As a Jacksonville drivers license lawyer, I have noticed that there is a ticket that many people receive and do not take seriously. This ticket is for driving on a suspended or revoked license in Jacksonville. A conviction for driving while your license has been suspended or revoked will be used against you to make you a Florida habitual traffic offender. If you were issued a traffic citation, call 20 Miles Law for help at (904) 564-2525. Most traffic tickets are not criminal infractions, but some are. The most obvious is driving under the influence, because it normally results in an arrest on the spot. Over the weekend, police arrested four people under STEP for DUI. I’m assuming that the Jacksonville driving under the influence arrests were misdemeanor charges, since there was no mention of death or serious bodily injury. A DUI may also become a felony based on a driver’s prior convictions for driving under the influence of alcohol or a controlled substance. The Florida Times Union article also stated that “one person was charged with resisting arrest.” A Jacksonville resisting an officer charge may be a felony or a misdemeanor. Resisting arrest without using violence is a misdemeanor. Resisting an officer with violence is a felony.